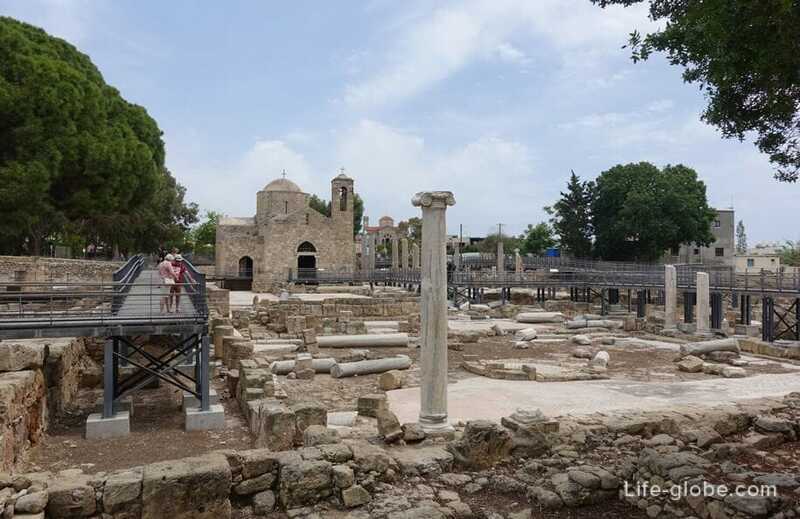 Complex Chrysopolitissa - the archaeological site includes: ruins of an early Christian Basilica (4-7 century ad) and the medieval Franciscan Church (13th century), the pillar of St. Paul's, the medieval ottoman baths and the main attraction of the complex - the Church of Panagia Chrysopolitissa. 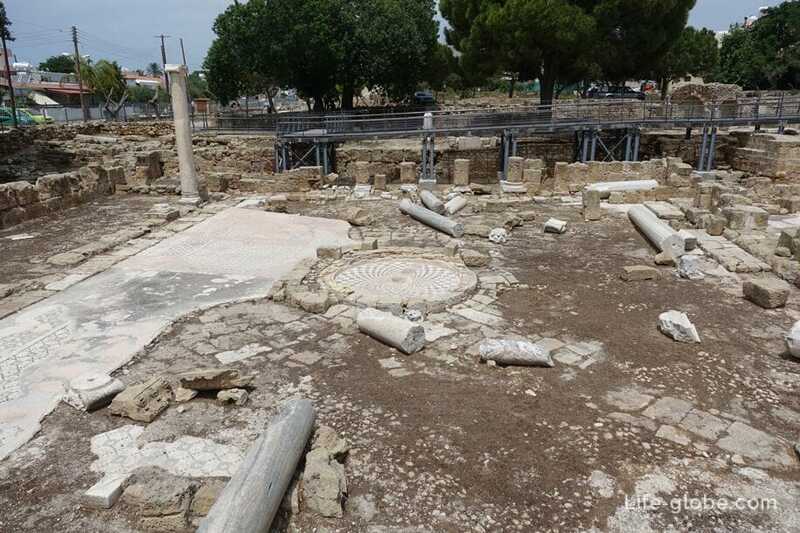 This small complex is fenced (free entry), located in the centre of Kato Paphos, near the Harbour and Paphos Archaeological Park. To facilitate the complex is equipped by wooden paths. 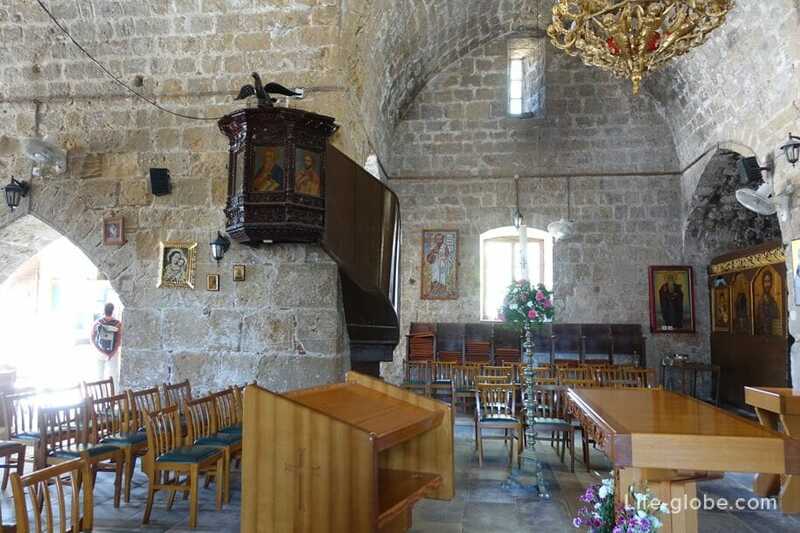 The current Panagia Chrysopolitissa Church or the Church of St. Kyriaki (Agia Kyriaki), the full name of Agia Kiriaki Chrysopolitissa (Αγία Κυριακή - Χρυσοπολίτισσα) was built in the 1500s on the ruins of earlier shrines, and is currently one of the main attractions of Paphos. 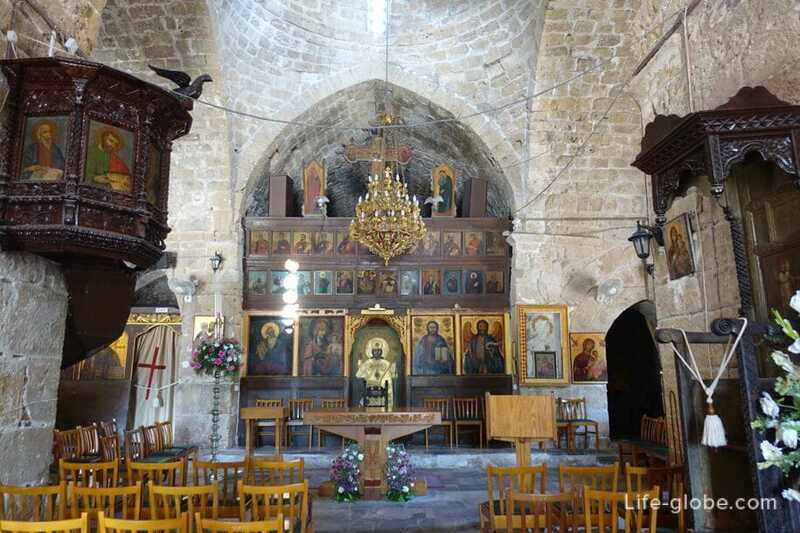 The original Church was founded in 46 ad by the apostles Paul and Barnabas. 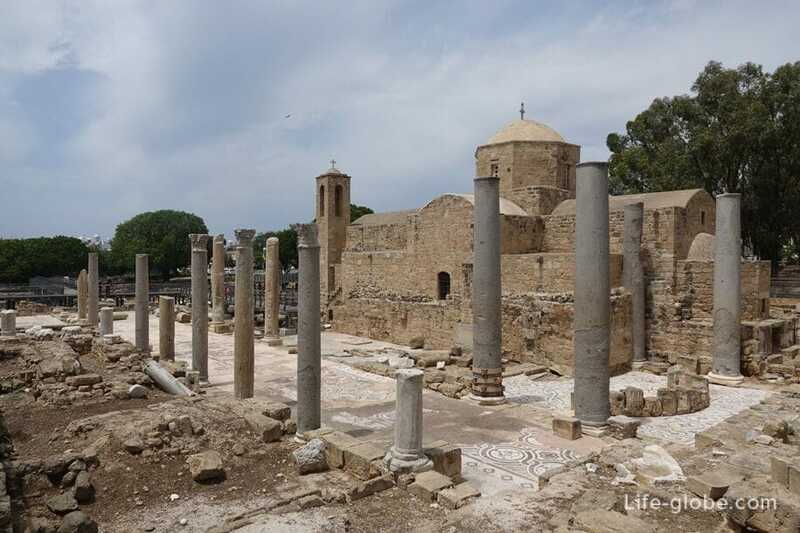 Then Paphos was the island's capital and seat of the Roman proconsul. 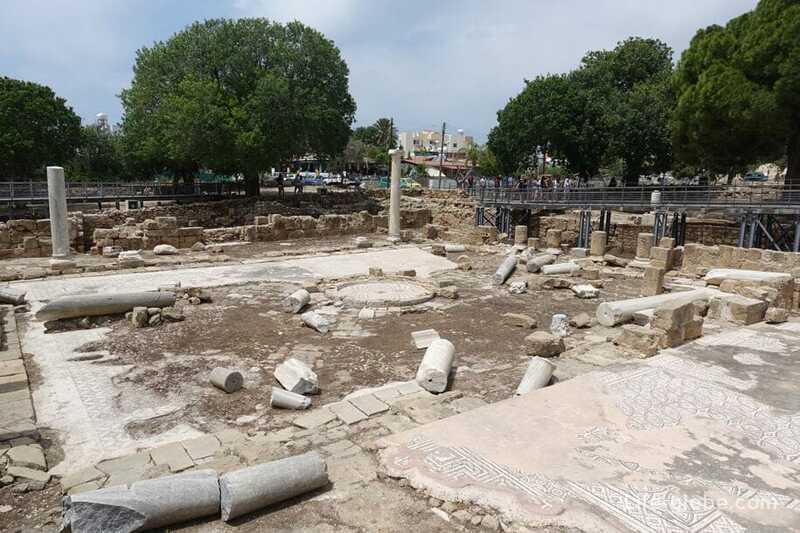 Here in Paphos, the first official Roman Governor converted to Christianity, it was the proconsul Sergios Paul. The adoption of Christianity by Paul, became an important event not only for Cyprus but also for all history and civilization of all mankind, is the beginning of the spread of Christianity throughout the world, which is characterized as the first dynamic and the triumph of Christianity in the highest ranks of Roman society. 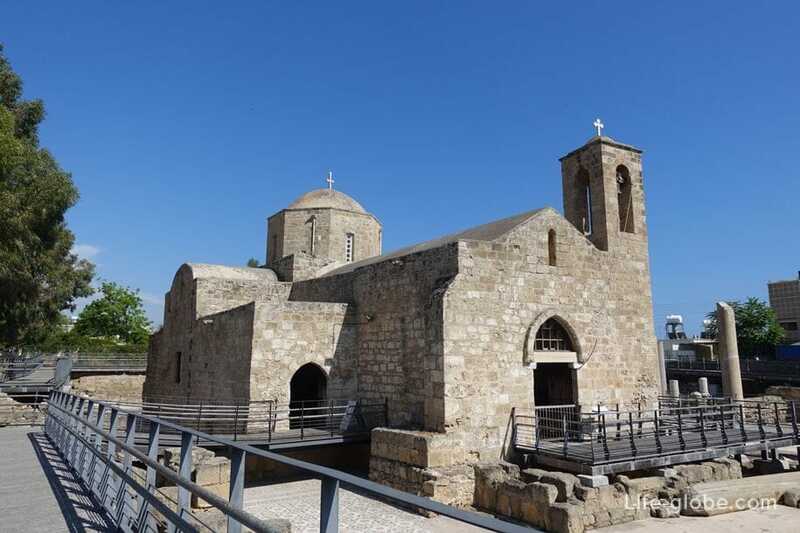 During the first three Christian centuries there was no written information about the Church of Chrysopolitissa. 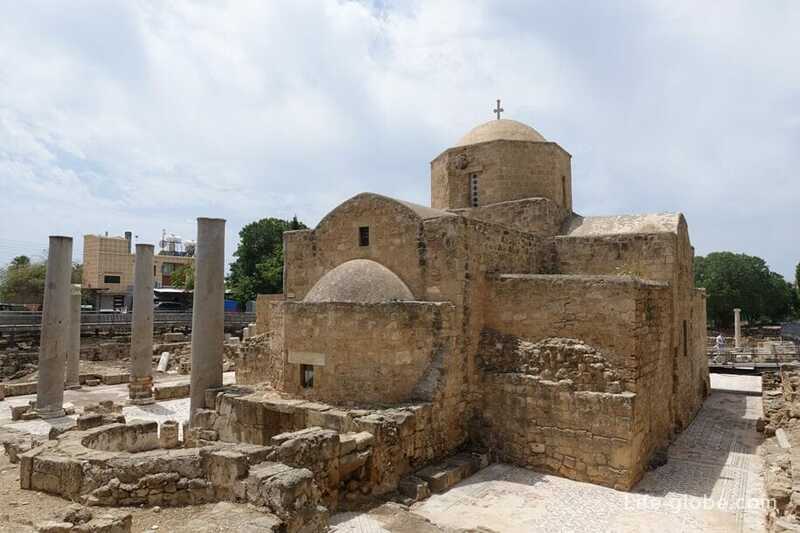 330 ad Cyprus belongs to the Byzantine state, the official religion which is Christian, and by the end of the 4th century the predominance of Christianity is final. 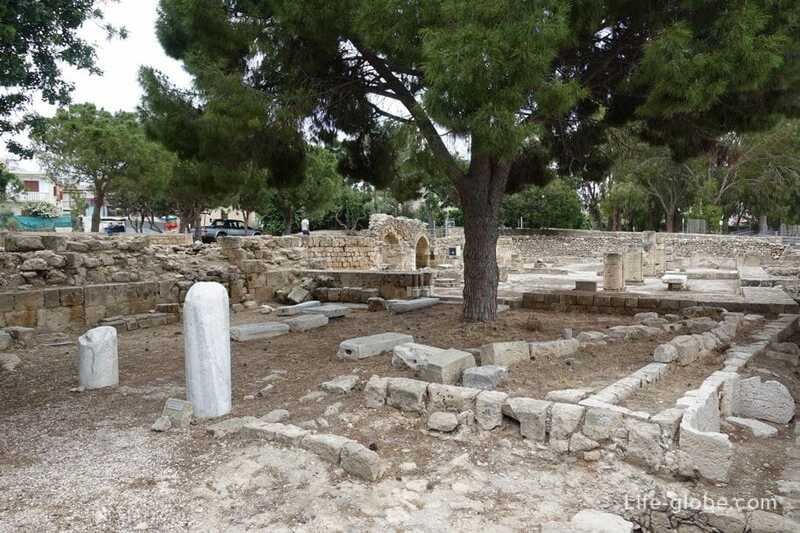 It is from this period and you can trace the history of the Church of Chrysopolitissa, however, suggest that an earlier structure, still had a place to be on this earth, perhaps it was the structure of the Roman forum. The interior of the Church, on the one hand, modestly, and with another - represents a significant value, both believers and historians. 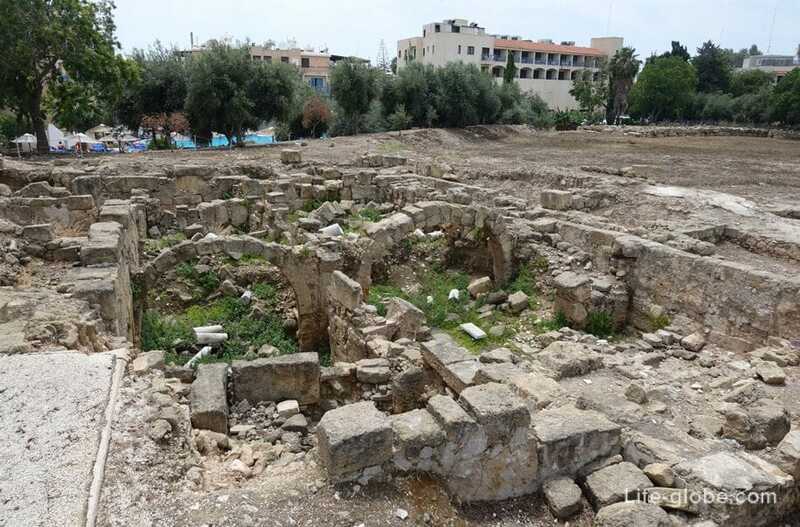 On-site excavations in the area of Chrysopolitissa Church are the ruins of the earlier churches located in this area. For the Basilica of Chrysopolitissa are the basis for internal and external semi-circular tripartite apse belonging to a Basilica, dated to the late 4th century. 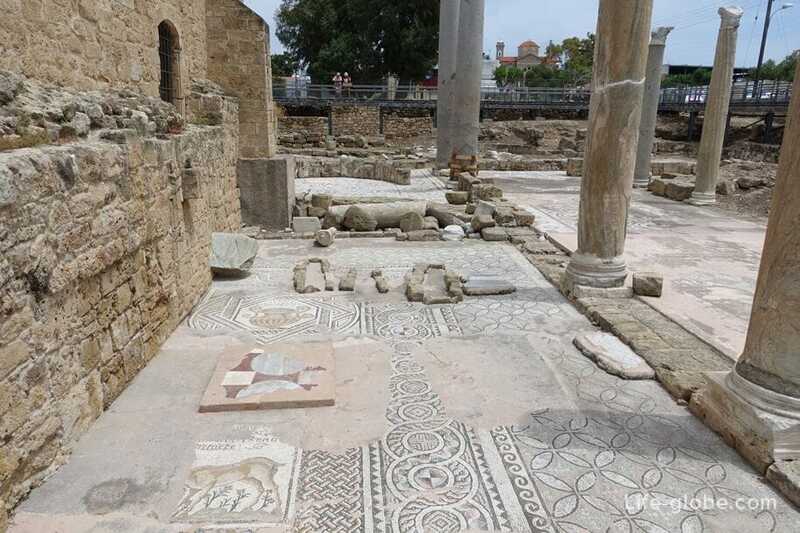 To the right of the Basilica are the remains of the colonnade of the 6th century, where you can see the partially preserved floor mosaic, presumably of the 4th century. 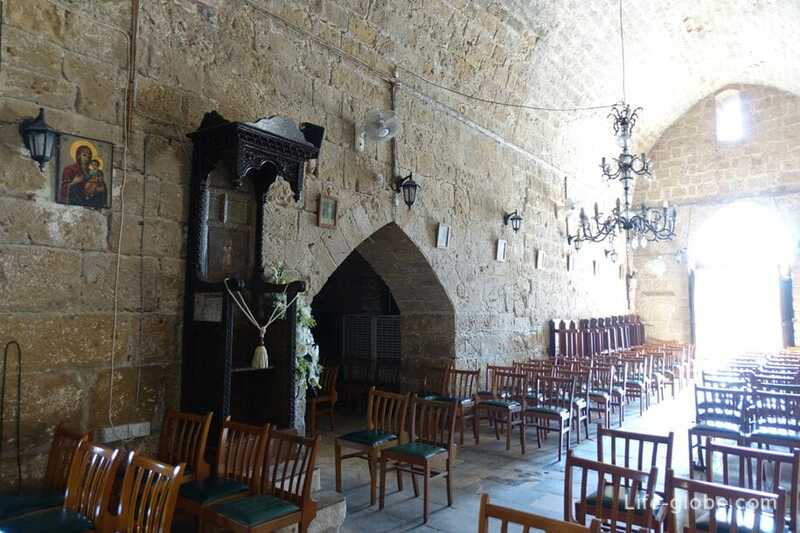 In front of the Central part of the Church Chrysopolitissa is the atrium (4-7 century) - formerly the courtyard of the Basilica, surrounded by porticoes. The yard had a rectangular head start and was 24 meters long and 32 meters wide. Ceiling of the porticoes to the South, West and North sides rested on marble columns, while the East side was built on poles. The floors of the porticoes and a Central courtyard were decorated with mosaic compositions of geometrical motifs. In the center of the atrium there was a round fountain. 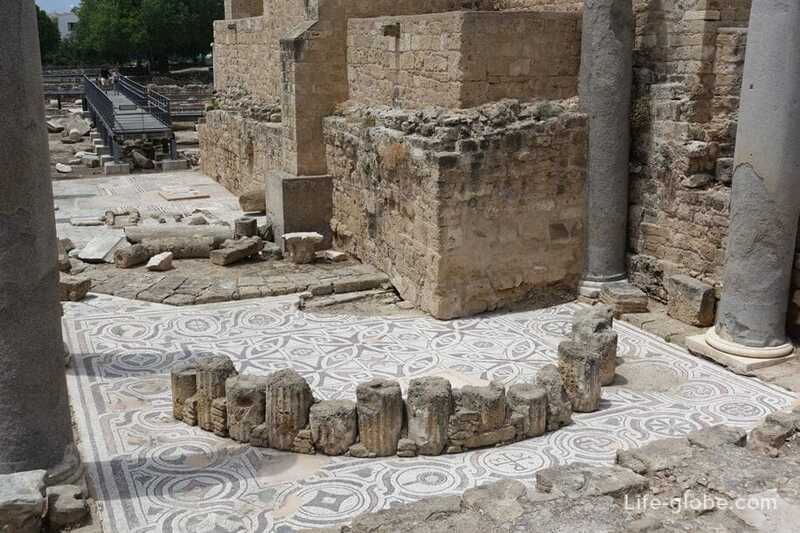 Extensive renovation of the Basilica, which took place during the 6th century, included, including, the reduction from seven to five naves and covering major parts of the new flooring mosaics. Reconstruction of the Basilica, or, at least, of the North aisle, is attested in inscriptions on the mosaic floor of the courtyard. 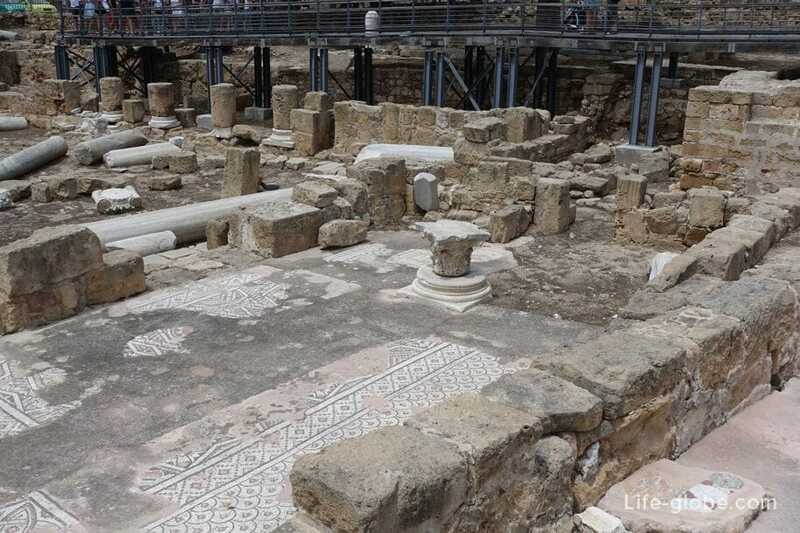 Some of the surviving columns and floor mosaics of the atrium can be seen at the present time. The archaeological excavations conducted in the area of the Cathedral have revealed the remains of the Episcopal Palace, previously located outside the Basilica, presumably referring to the 6th century. 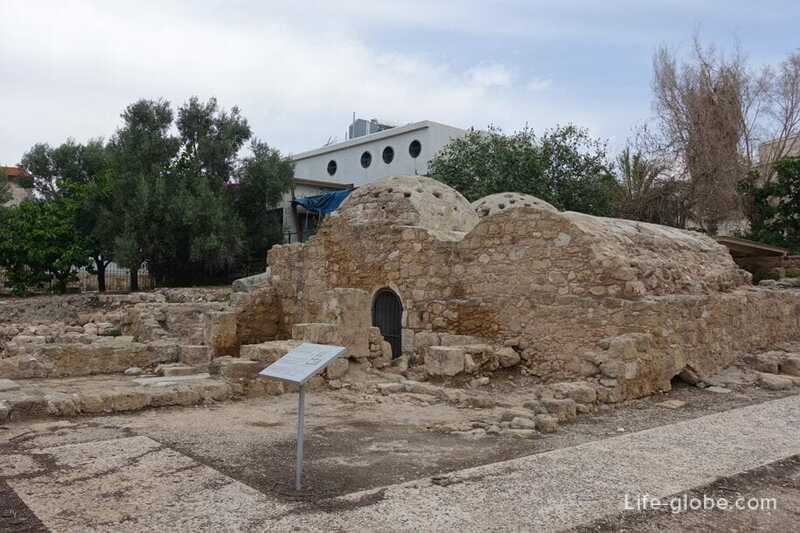 Originally the building was a two storey building and probably served as the residence of the Bishop of Paphos. The remains of the Palace can also be seen in the Archaeological complex of Chrysopolitissa, to the South of the Basilica. 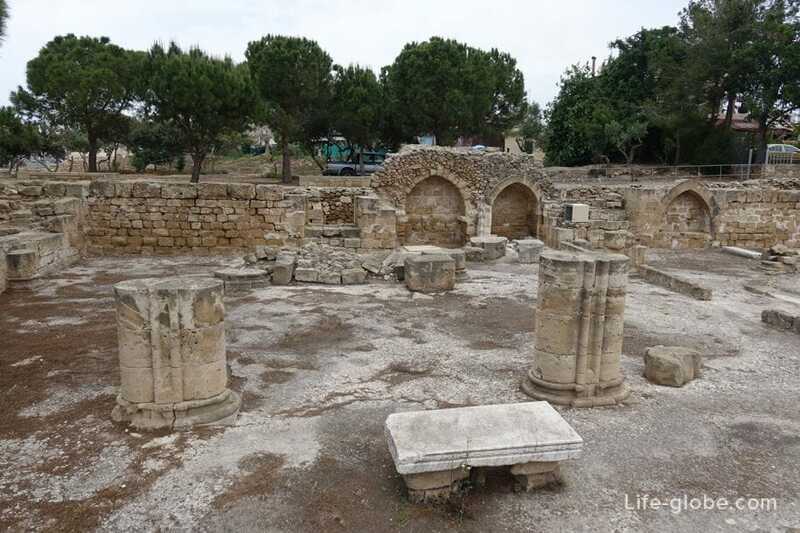 To the left of the Church, slightly to the North-West, the remains of the First Episcopal Church of the later period of Neo Paphos. Near the ruins of the preserved part of the famous Saint Paul's pillar (the pillar of St. Paul). 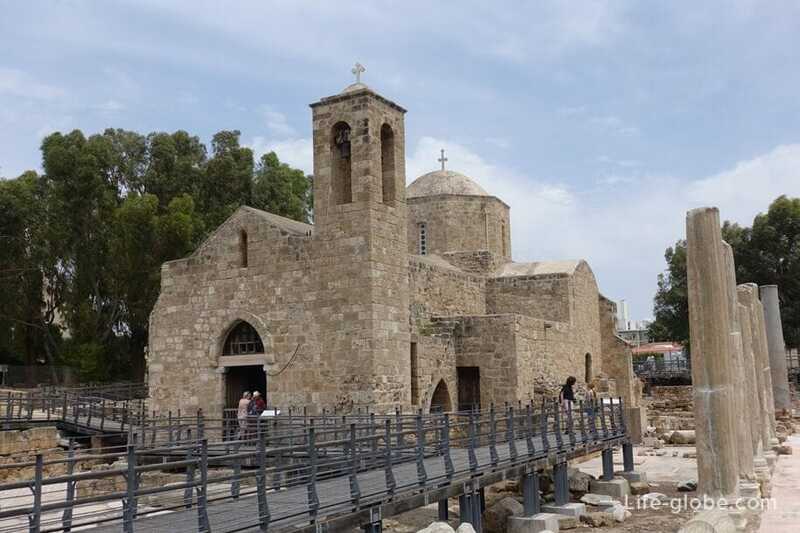 It is believed that in this place the Apostle Paul was subject to corporal punishment - the people of Paphos tied St. Paola and stabbed him thirty-nine times. 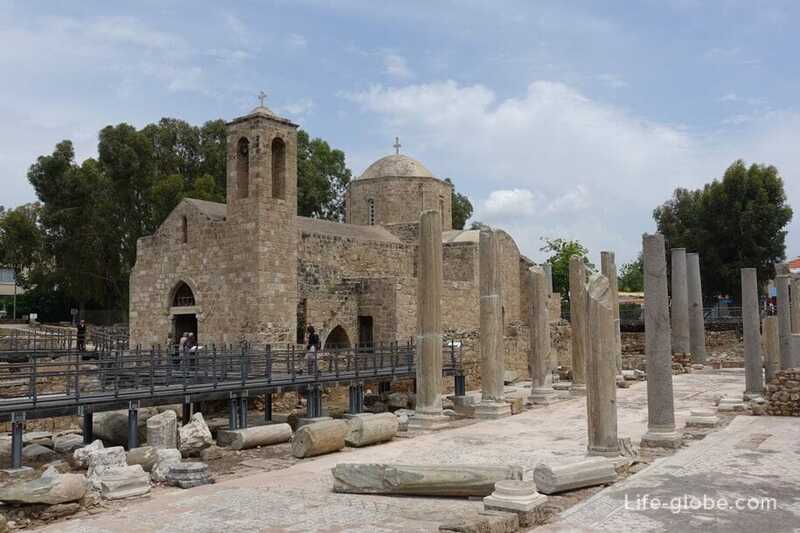 According to the Scriptures, when the apostles Barnabas, Paul and Mark visited Paphos in 45 ad, during their first missionary journey to Cyprus. 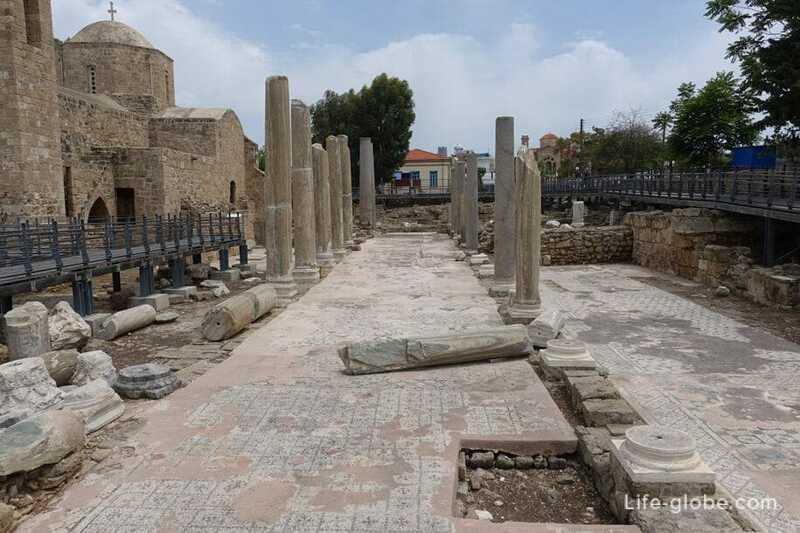 In Paphos, the former capital of the island, Apostle Paul preached Christianity. 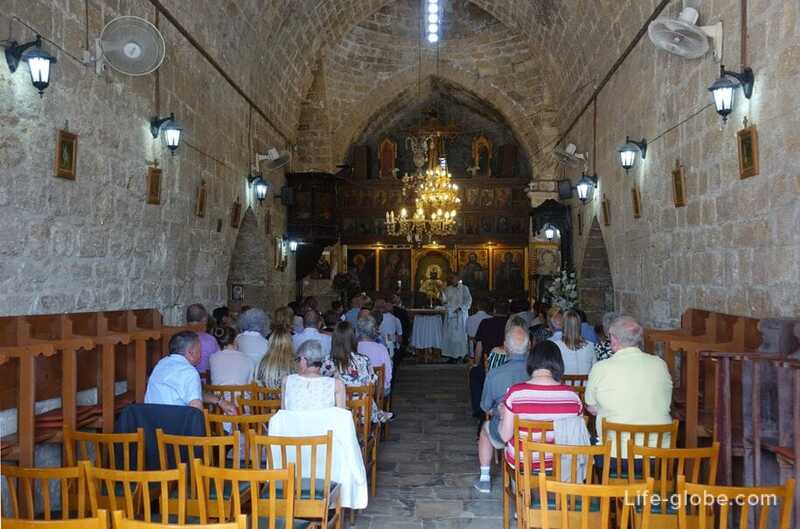 Just then, after Paul's preaching, the Roman Governor Sergius Paulus converted to the new religion (Christianity), was the first of those who are "introduced" to Christianity in Cyprus. 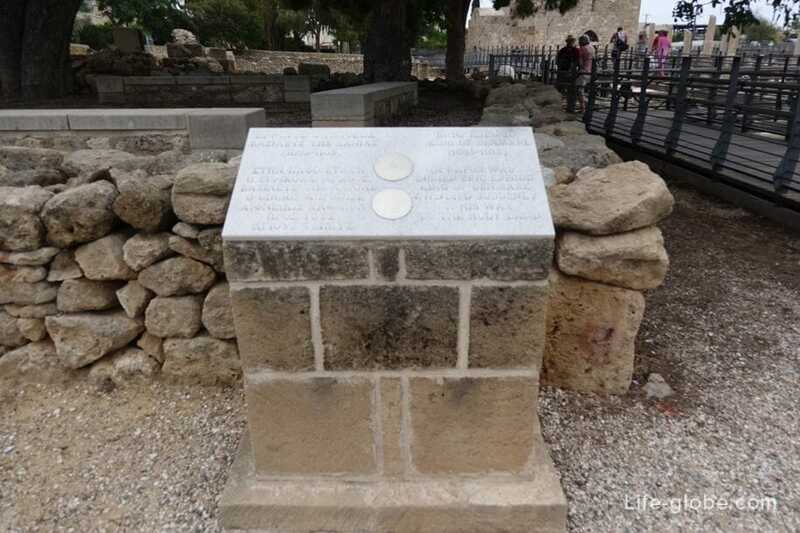 Near the entrance to the archaeological area of Chrysopolitissa is a memorial plate that serves as a reminder that in the Basilica in the year 1103 was buried king of Denmark Eric I Generous (Eric I Ejegod 1095 - 1103. 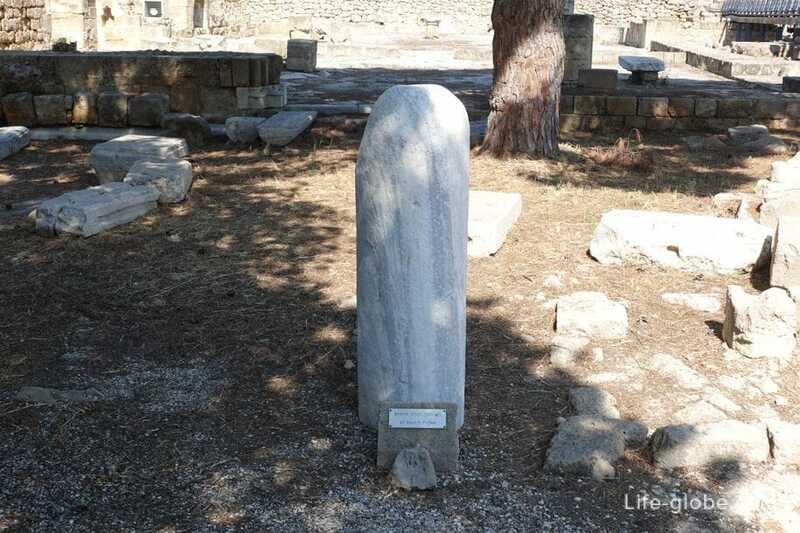 ), who died in Paphos on the way to the Holy Land. 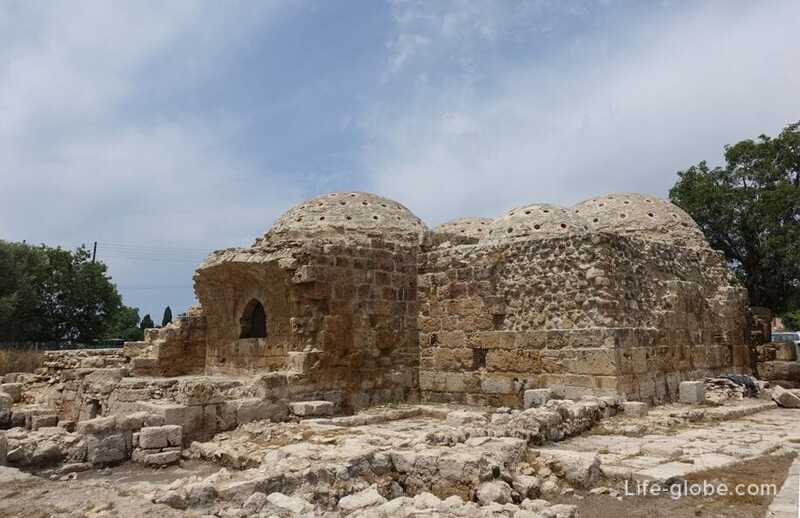 In the Northern part of the complex Chrysopolitissa are the medieval-ottoman Bath (Medieva-Ottoman Baths), originating in the Roman and Byzantine periods. Baths combine functionality and architectural features of the Roman steam baths and Byzantine, Arabic and Ottoman Turkish tradition of steam bathing. Like their Roman predecessors, these baths consist of a series of cold, warm and hot rooms through which it successively passed bathers. 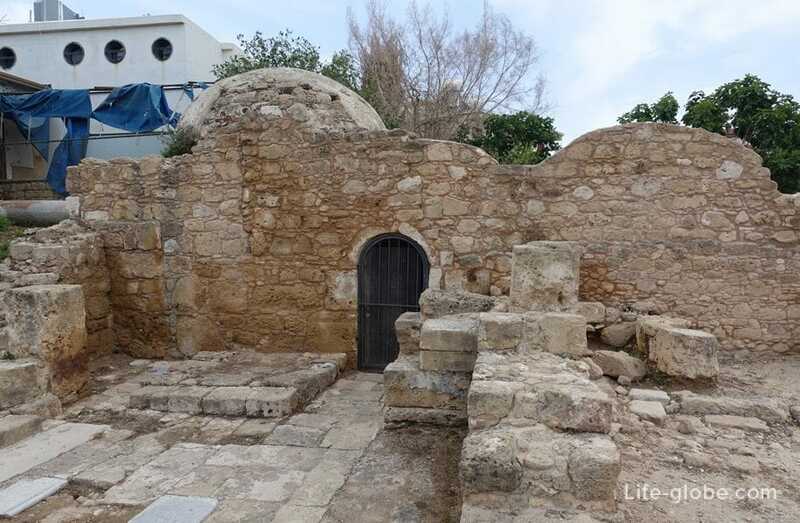 Nearby Chrysopolitissa, just to the North, also there is another similar bath (Hamam/Baths). However bath, located on a plot of Chrysopolitissa was more complex, built during the middle Ages and altered in the Ottoman period. 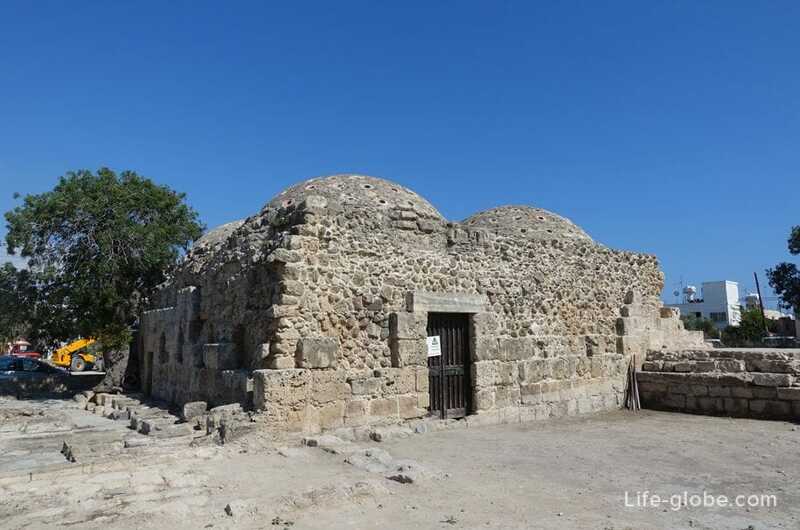 These baths consisted of two domed warm rooms and two small cold rooms with vaulted roof, located on both sides of long, narrow corridor.